WHY RENT â€“ STYLISH LARGE HOME â€“ BE QUICK! With over 40 years build experience we are proud to offer you our spacious Iluka home in The Avenue Estate, Ormeau. Home & Land packages selling under $500,000 are rare these days so why pay rent! 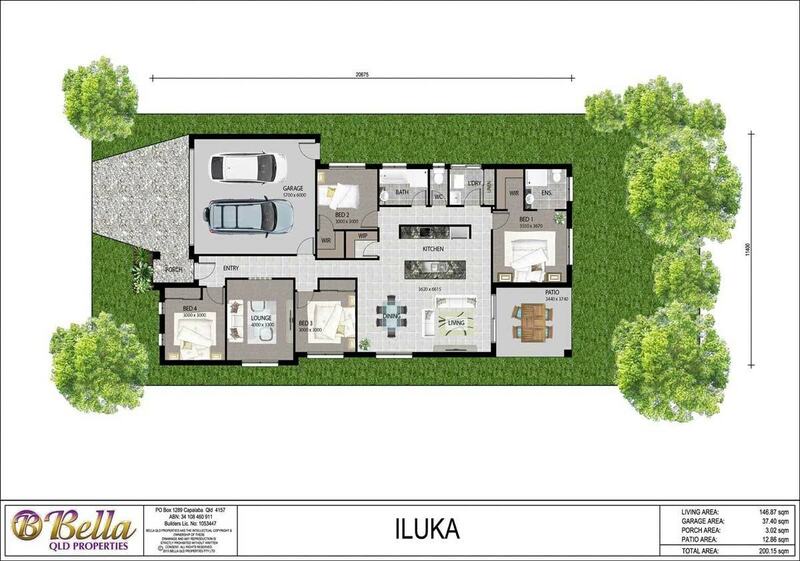 Our ILUKA home is one of Bellaâ€™s favourites & offers easy care living with stylish mod-cons. There are 4 bedrooms, 2 living areas, double garage, 2 bathrooms and open plan kitchen/dining & living that extends to the outdoor alfresco area. The modern kitchen features Roman Stone bench tops with Omega Stainless Steel appliances and large walk-in pantry. This home has all you need and is competed with beautiful finishings which represent great value! Deal directly with the builder and experience our personalized friendly customer service. LAND IS SELLING FAST SO YOU MUST BE QUICK! For the best outcome, Heather Daymond invites you to visit our display Home at Hans St UPPER COOMERA to see the quality of our finished homes and personalise your design & inclusions according to lifestyle. â€¢	CALL HEATHER TODAY TO SECURE THIS OFFER 0450 558 915 or DROP INTO OUR BELLA DISPLAY AT 39 HANS ST, UPPER COOMERA (Open Tues to Sundays from 10am). Bella QLD Properties Ltd is a boutique master builder and our homes are constructed to the highest standard. Being a family owned company we actually care about you and your investment. Ormeau has easy access to amenities and the M1, situated in the growth corridor of Gold Coast and halfway between Brisbane and Surfers Paradise. Close to shops, schools, train station, golf courses and the new Westfield Town Centre in Coomera.